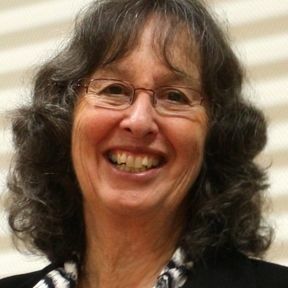 Sue Dengate's famous personal presentation about the effects of food on children's health, learning and behaviour together with entertaining and insightful interviews, support and information, released May 2006. 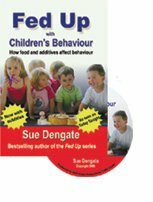 Sue Dengate's famous presentation about the effects of food on children's health, learning and behaviour together with entertaining and insightful interviews, support and information, released May 2006. Over 25,000 people have attended Sue's talks over the last five years. Families from Cairns to Melbourne, from young children to grandmothers, were interviewed about their surprises, pitfalls, horror stories, cute kids, laughs, determination and triumph through tears in finding which foods affect their children. Mothers who have seen the preview say it really helped them to manage their diet successfully. Included is a two-week additive-free trial at a whole school in northern NSW, which impressed teachers, students, parents and even the professional film-makers. This was shown nationally on Today Tonight (Channel 7) to huge interest. This inspiring DVD is ideal for convincing partners, in-laws and schools to take food issues seriously...see viewers feedback below and check out the extensive support (on-line support groups and regular free newsletters) on this website. Sue Dengate's presentation "Fed Up with Children's Behaviour"
You can now buy Sue Dengate's books and DVD online. The DVD Fed Up with Children's Behaviour is $A25.50 including GST, post & packing (RRP $29.95). Sue Dengate's books are usually available from all bookstores in Australia and New Zealand and online for both local and overseas purchasers. The DVD is available through this website www.fedup.com.au and as shown below. 'Wow!!! Hearing Sue speak was probably the most enlightening experience I have had this year, if not this decade' – Eleanor, Canberra ACT. 'We found your presentation very insightful and were amazed by the information' – Tracy, Preschool Co-ordinator, Toormina NSW. 'The boys were watching some of it with me, with Ashley singing my food's on the telly, my food's on the telly, it's the best in the world, the best in the world when you were showing the failsafe foods. It's fantastic, you should be very proud. Well done to you and everyone else involved' – Jenny, Melbourne VIC. 'I'll be lending mine to lots of people, so I think its a great way of spreading information!' – Susie, Sydney NSW. 'I have just watched the new DVD and I have to say - it was a tremendous job that was well done. The personal comments from parents who have been there are worth listening to. The DVD has enormous integrity as it involves both scientific research and experience. Sue's explanations are very clear and straight to the heart of the matter. I just loved her "nasty food" scenes. This DVD is well worth going to all schools' - Cheryl, teacher Coffs Harbour NSW. 'Your DVD is great, it convinced my husband that doing the diet properly is the only way to go. Before that he thought we could do just bits of it' – Jenny by email. 'The benefits we have derived from your hard work are worth far more than the cost of a video!!!!' – Mother, Newcastle NSW. 'I've been playing it in the foyer at my childcare centre. It's great because it's stirring a lot of interest and I'm going to loan it out' – Childcare centre, QLD. 'I received the 3 DVDs yesterday, have watched my own copy twice and already a friend has grabbed another off me! I will be sending them to my relations overseas asap as I'm sure their kids (and the mums) would benefit. We also had an email from one of Michael's teachers who doesn't know about the diet, who was complimenting Michael - she said, "I just wanted to say how pleased I was with Michael's positive, enthusiastic approach"! Those are words we really thought we'd never hear. In addition, because the middle son has Asperger's Syndrome we have been seeing a family psychologist to sort out the siblings' dynamics and jealousy. We saw him yesterday and he declared us "in perfect working order". He asked for all the details of the book and DVD because he was so stunned at the change. He quizzed our son on how he felt now and he told him that he felt much calmer. Again, thank you, thank you, thank you' – Mother, by email. 'After watching your DVD, my husband is now a firm believer and is ready to go the whole way now, not just in front of the kids' – mother by email. 'Since getting the DVD and booklet, we have been amazed at the level of additives and preservatives in nearly everything we fed to the kids. After we started to remove the nasties from our four year old son's food we saw an immediate difference in his behaviour' – mother by email. 'It came as a very pleasant surprise that my 6year old failsafer devoured the DVD with the same passion as I have every single Fed-Up book. She watched the entire DVD, mesmerised, pausing and rewinding, nodding and calling out to me that this was just like her. When it finished she wandered off to watch the cartoons her siblings were watching in the other room. I put on one of the bonus features, and within a minute, she was back and viewing that with just as much excitement. She now wants to know what is in everything she eats, and as she has just learnt how to read, she can read the ingredients herself! Thankyou so much for making this information accessible to those who can't read the books. It has made it possible for my Ashlinn to feel connected to all the other Failsafers out there' – mother NSW by email. 'Your work Sue is so fantastic and I spread your good word all the time in my role as a Learning Support teacher. The DVD is an excellent resource for parents who can not be bothered to read the book but want to know more about it. I have found that by parents seeing the DVD they are more likely to look at the book for more information' – Karen, QLD. 'I received your DVD the day before yesterday and I am already ordering another copy for a friend. I can't wait to share this information with others' - Joy, USA. 'It's a real eye opener, even though I've been aware of the effects of food additives for a few years now' - Deb by email. 'Pity some Federal grant can't get this DVD into all schools, to all parents and into all prisons!!!!!!' - from Alison, Victoria. 'The DVD was an eye-opener. I took my 4 year old daughter off all additives, preservatives and colors. In one week she has had a dramatic reduction of seizures' – Karen by email. 'I have shown the DVD to some of my friends and they were enlightened too - they have become very understanding and realise what I've been on about over the last few years. The grandparents too now shop according to my specific list and hide any inappropriate foods when we visit. Thank you for making the DVD. Our life around family and friends is much easier'- Janeen by email. 'I would love to see the DVD issued to every family with their child health books after leaving the hospital with each new baby. I certainly wish I had heard about this before embarking upon 3 1/2 years of sheer hell with my second child' - Bronwyn, Victoria. 'Thank you Sue and everyone who has supported you!!! I have no doubt it will have a positive effect, not only for our son but for our whole family. I am hoping it will help our daughter almost 11years now - to clear up her anxiety and emotions. When one of the ladies [in the DVD] was describing the leg twitches, restless sleeping etc... that is my husband. He started to watch this DVD half way through, at the end he said the kids should watch this! Thank you, thank you, thank you' – Janette by email. 'I have had my daughter on an elimination diet for 12 months now - the behavioural changes were literally overnight once I found your website. I want the DVD for her school because they still serve trash in the tuckshop and the teachers don't believe me when I say they wouldn't have anywhere near the problems they are having if they looked at what the kids were eating! '- Sheryle by email. 'Watching the DVD was like sitting in a dark room and having someone open the blinds to the let the sun shine in' - Carmel, by email. 'I had been trying to convince my husband just to WATCH the DVD for three months, and although he was happy to go additive free, he wasn't keen to go completely failsafe. At the end of the DVD he turned to me and said "I think we have to do it". We're now in week 5 of the elimination diet, with huge changes for the whole family' – Tiffany by email.